Let the press do the heavy lifting with guidance from Jennifer. There are lots of different techniques and ways to form metal - let's play with the hydraulic press and metal for a few hours to learn the basics and some new techniques including fold forming and die casting! 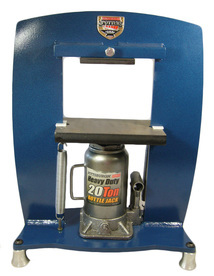 Learn how to use BoMA's Potter Press. You don't need one in your own studio - our press is available to BoMA studio users, learn how to sign up for a day or a month in our studio. Or if you're considering buying a press, this workshop is a fantastic opportunity to try one out. 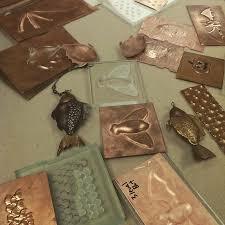 Students will leave class with a variety of pre-formed copper shapes ready to be made into jewelry. 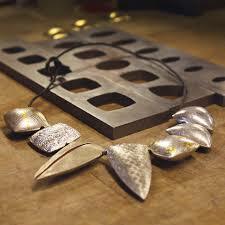 Please bring metal (copper or silver preferred) if you want to walk out the door with some formed pieces to play with. 20-28 gauge is recommended.